Of course, we had work to do all this time. And we had to dispose of trash--a really big chore. Here is a local mountain man with his old truck hauling out some scrap from our basement. 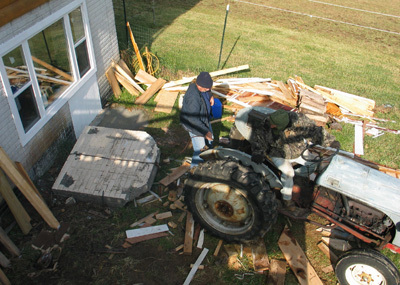 And Pete, our neighbor hauling off some more debris during reconstruction. We had rainbows to watch. 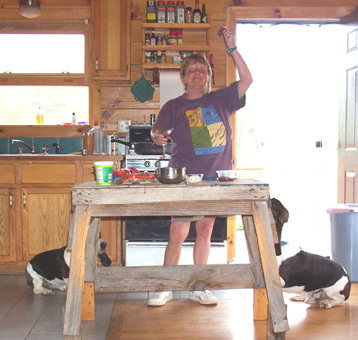 Dinners to cook at our sophisticated West Virginia Center Island with dual garbage disposal. Note the legs--the table's not Cyla's. This kitchen was replaced by a new one during our renovation. As a matter of fact it was moved entirely. 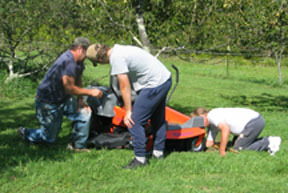 The lawn must be kept mowed, so we got a Husquverna Zero Turning Radius Mower. Eric is still trying to figure out how this happened. Maybe our neighbor Phil Hill and his son Matt can help. 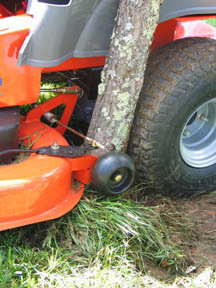 We ended up taking a wheel off in order to free the mower from the tree. The tree is ok. Eric's pride is wounded. During work on the garage which was turned into a pottery studio of sorts, a new 240V power line had to be installed. We needed to avoid existing power lines or water lines coming from the well to the house. We did get the power company to come out and find existing underground power lines. Privately owned and installed waterlines were not his problem. One of the workmen here at the time suggested witching or dowsing for the pipe. All one needed, he said, were two small copper pipes bent a certain way for good gripping. 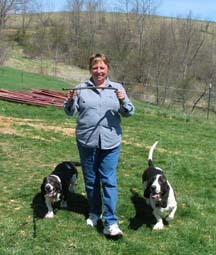 It turns out that Cyla can actually do it with or without the help of basset hounds. When Eric tries, the pipes turn green. 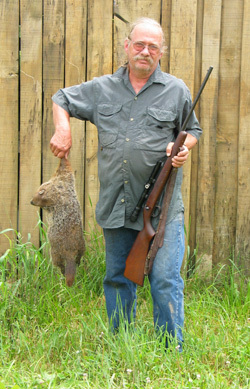 Before you get all weepy about the wood chuck, remember that wood chucks dig burrows. Those burrows are traps for horses. If that dern chuck would build his home up in the woods, no problem.